Shred it and forget it. 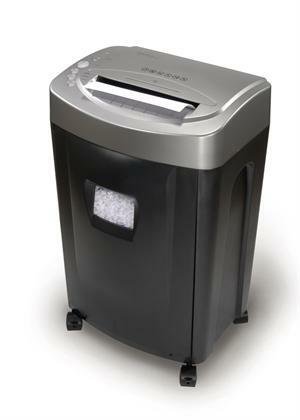 For enhanced security, the MC14MX shredder can shred up to 14 sheets of paper in a single pass into super- tiny 3mm x 10mm cross-cut shreds. Now, there's no worrying about highly confidential documents. Plus, it even slices through credit cards and staples and offers a convenient pull-out basket for easy disposal.